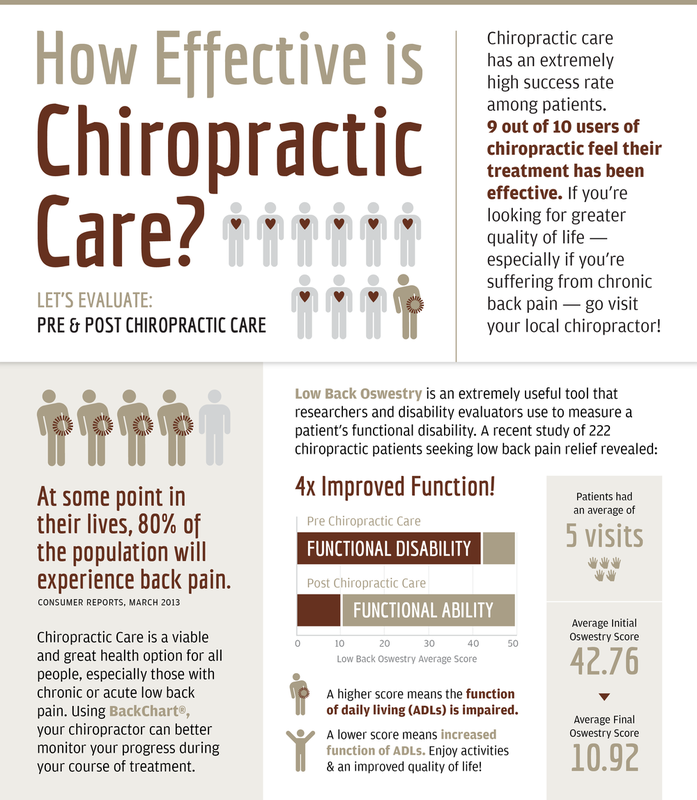 Chiropractic care is an evidence-based, non-invasive approach to healthcare that is documented to yield improved clinical outcomes. reduced costs, and high levels of patient satisfaction. Chiropractors are physicians who have earned the academic degree of "Doctor of Chiropractic." This degree is accomplished after an average eight years of university training. While medical doctors may prescribe medication, chiropractors do not. The scope of what medical treatment and procedures chiropractors are allowed to perform varies by state. Many states consider chiropractors "healthcare providers." Licensed chiropractors successfully pass the National Board Exam (NBCE), Parts I, II, III IV (practical) and state boards. A chiropractor's years of medical school include four to five years undergraduate study (Bachelor's degree required/state dependent), five years Chiropractic school, and one year residency for a minimum of ten years of education. Medical doctors receive 4,800 total educational hours. Doctors of osteopathy receive 4,665 total educational hours. 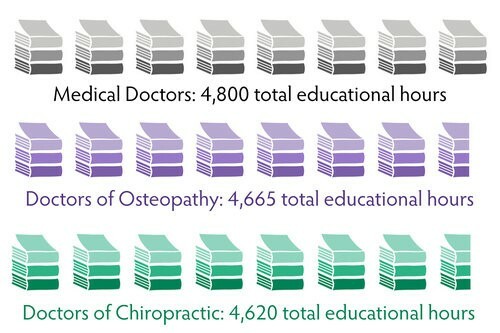 Doctors of chiropractic receive 4,620 total educational hours.